SUNNYVALE, Calif.–(BUSINESS WIRE)–July 25, 2006–MoSys, Inc.
for its embedded memory on TSMC’s 0.13-micron standard CMOS process. 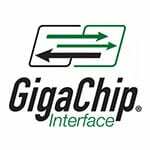 agreement for next generation chip set designs. HDTV, next-generation gaming, personal video and digital photography.